We do love to be beside the seaside! And if you do too, this competition is just the ticket. 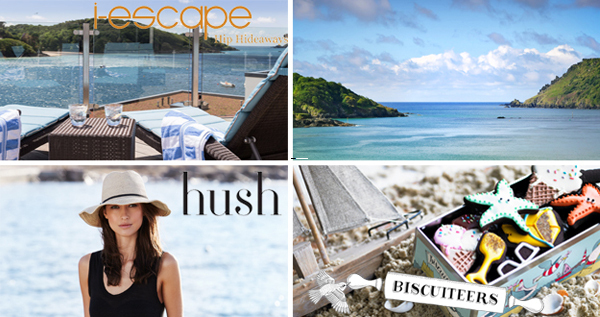 We’ve teamed up with the lovely folks at hush and Biscuiteers to give you the chance to win the ultimate coastal break. 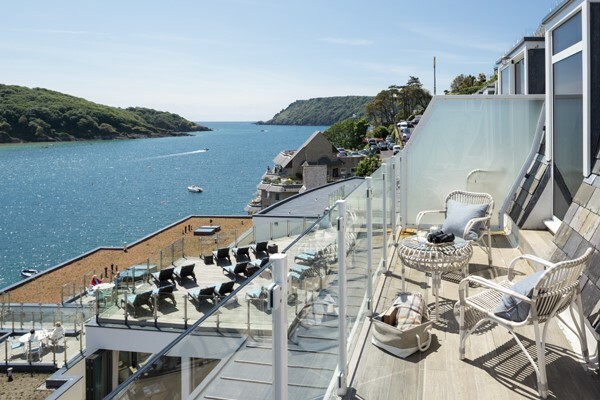 One lucky person and a companion will be winding down the country lanes to yachty Salcombe on the Devon coast for a 2-night stay at Salcombe Harbour Hotel & Spa. 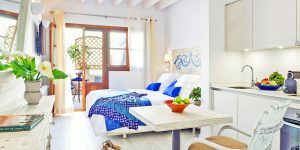 Overlooking the sparkling blue estuary, this boutique bolthole has 50 rooms with soothing palettes, unfussy furniture and comfy beds, plus special extras like gin and sherry decanters, Nespresso machines and touch-screen tablets. The buzzy restaurant, where you’ll enjoy dinner on both nights, serves up tasty fare such as super-fresh sea bass fillet with sautéed spinach and beurre blanc sauce, plus one of our all-time favourite desserts: lemon sorbet, meringues, whipped cream, lemon curd and limoncello. And if all that lazing and eating is just too much, you’ll each be rewarded with a 25-minute treatment in the Harbour Spa to help you unwind even further. Utter bliss. The treats don’t stop there. The winner will also get a whopping £400 to spend on relaxed everyday fashion at hush, from dresses and shorts to bags, sandals and beachwear; you’ll easily be the best-dressed guest! And no beach break would be complete without a biscuit-y sandcastle from Biscuiteers – their ‘Beside the Seaside’ biscuit tin is filled with themed treats to get you in the holiday spirit. Two runners up will each win £50 to spend at hush and a retro lollies big biscuit card from Biscuiteers. We’re sure that’s whetted your appetite, so head on over to the Biscuiteers website to enter! Good luck!